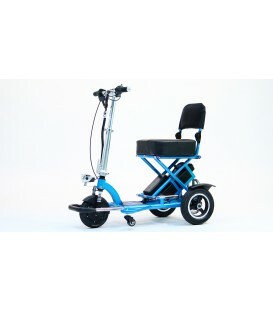 The Transformer is the only fully electric folding scooter in the USA. 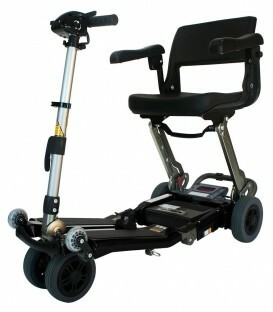 There is nothing else like it on the market. 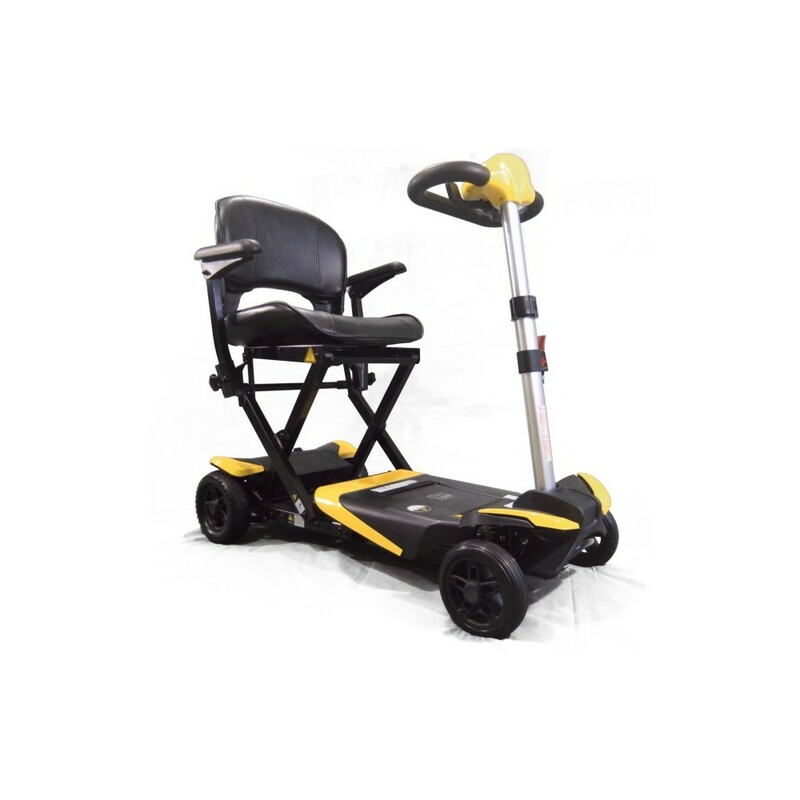 This easy to use, ultra-portable electric scooter offers the ultimate in convenience. 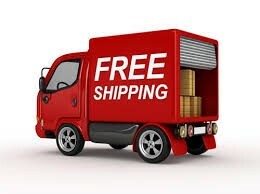 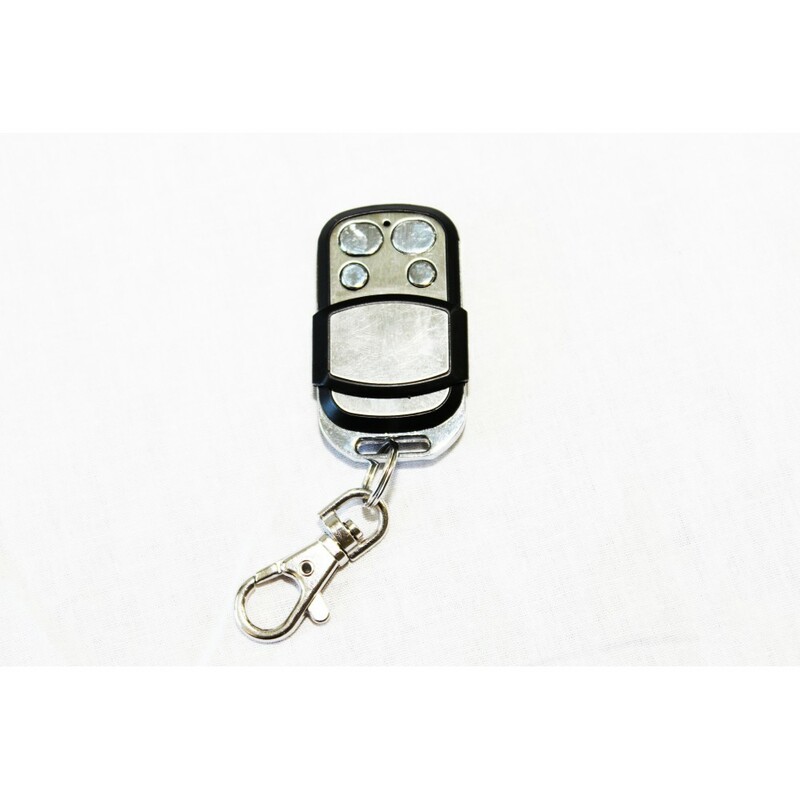 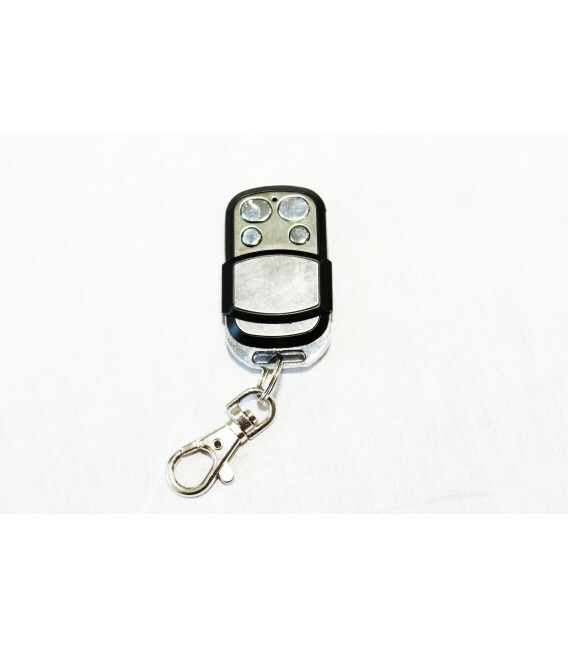 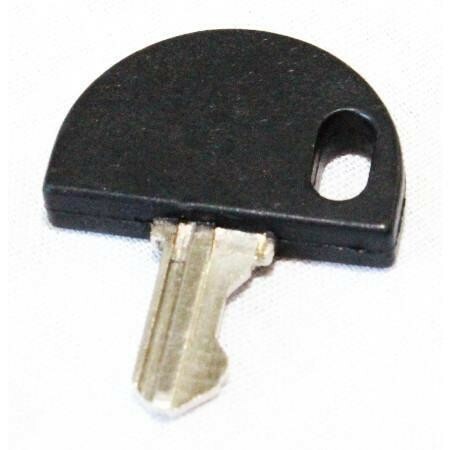 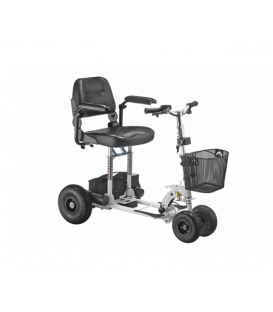 Offering Remote Control operation and manual if required. 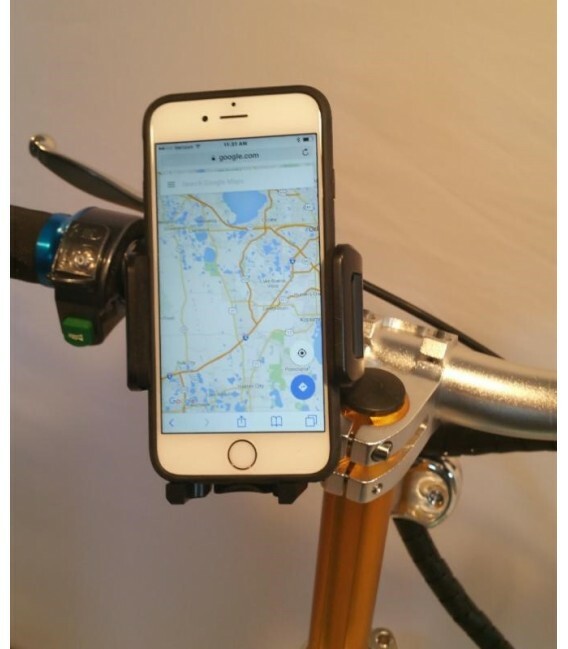 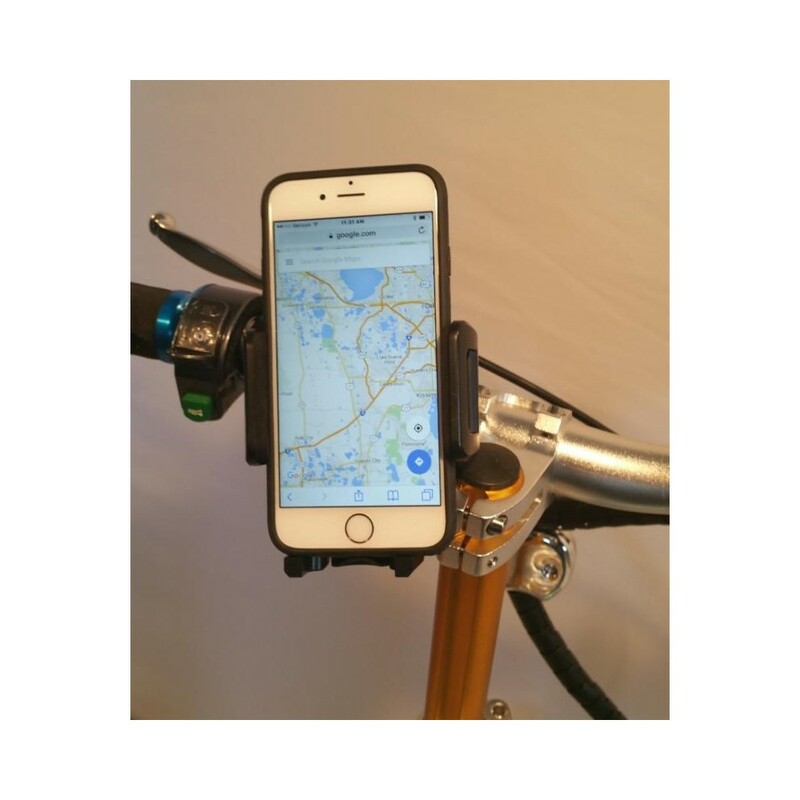 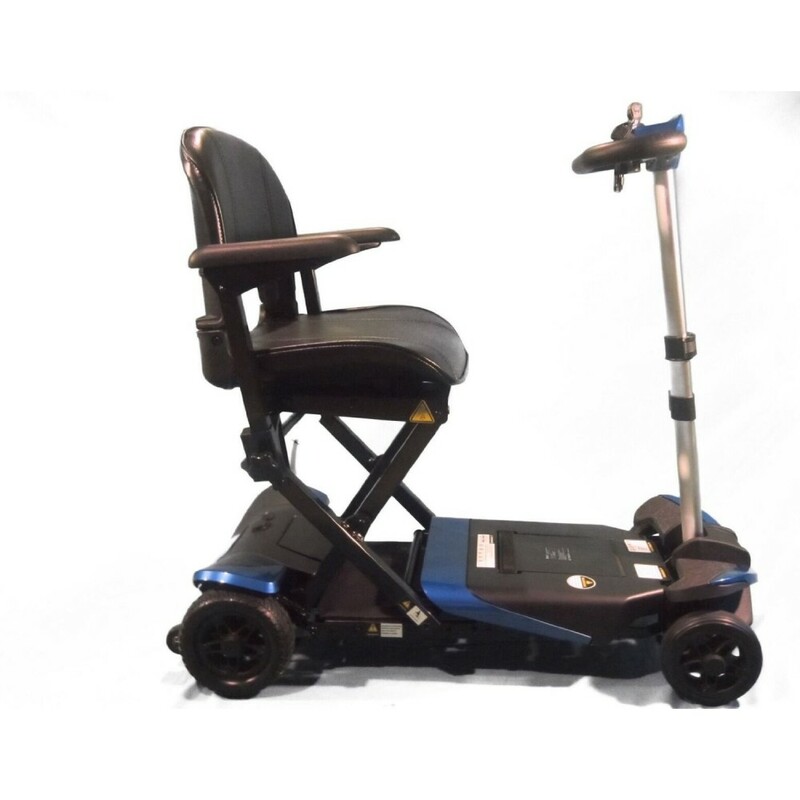 The Transformer has 300lb weight capacity and comes standard with a lightweight Lithium battery (13.7 Miles on a single charge). 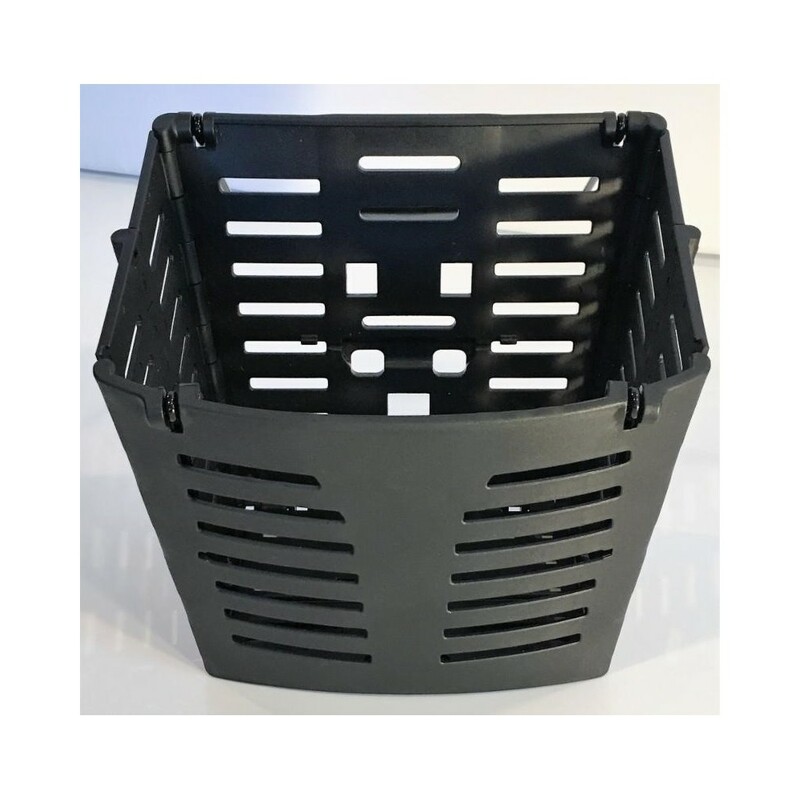 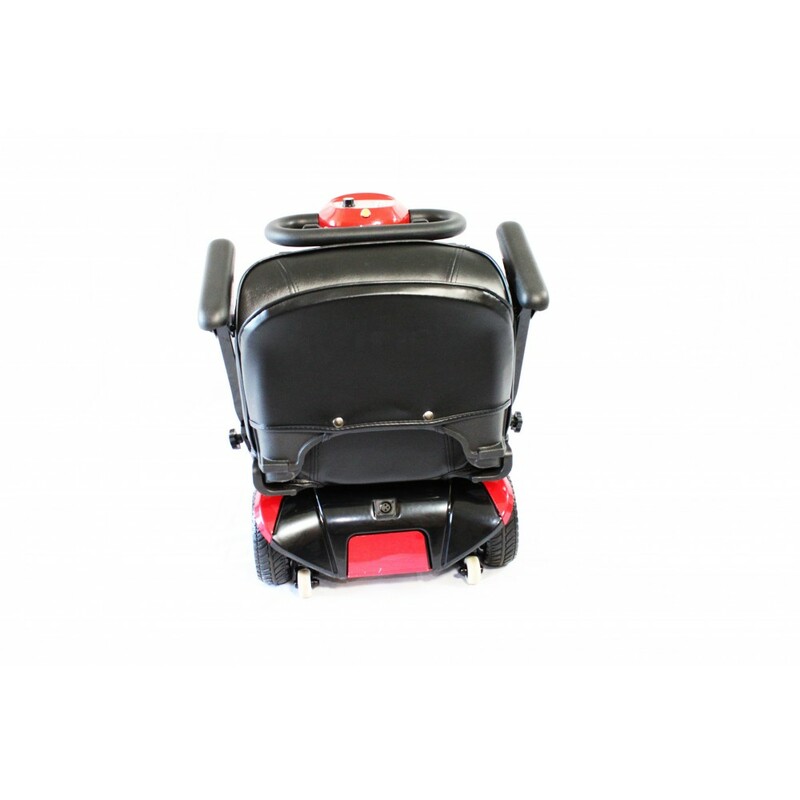 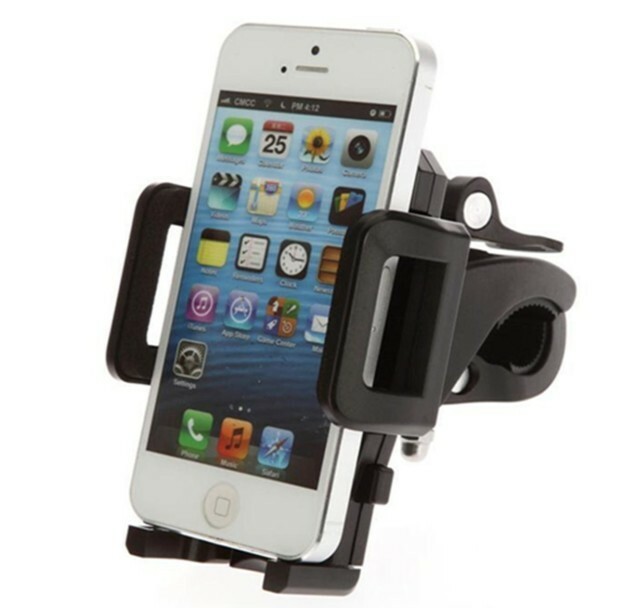 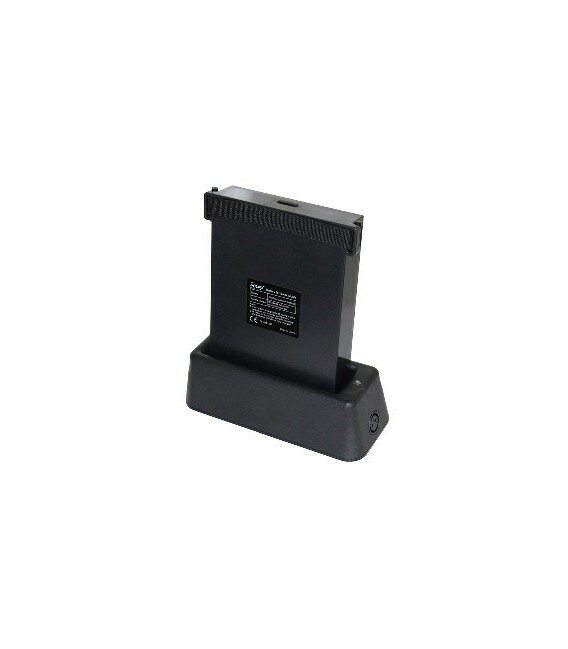 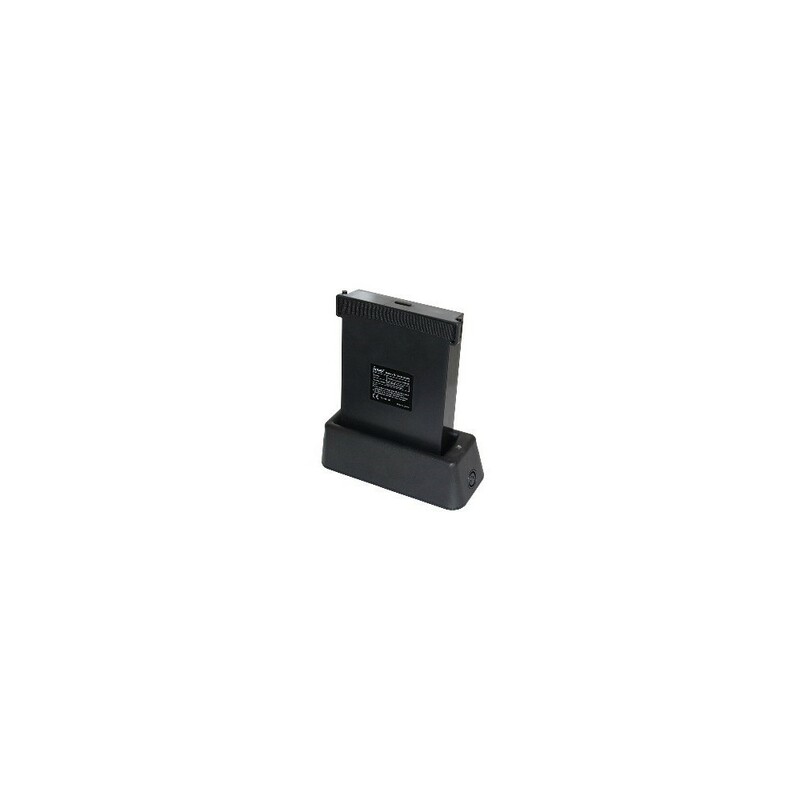 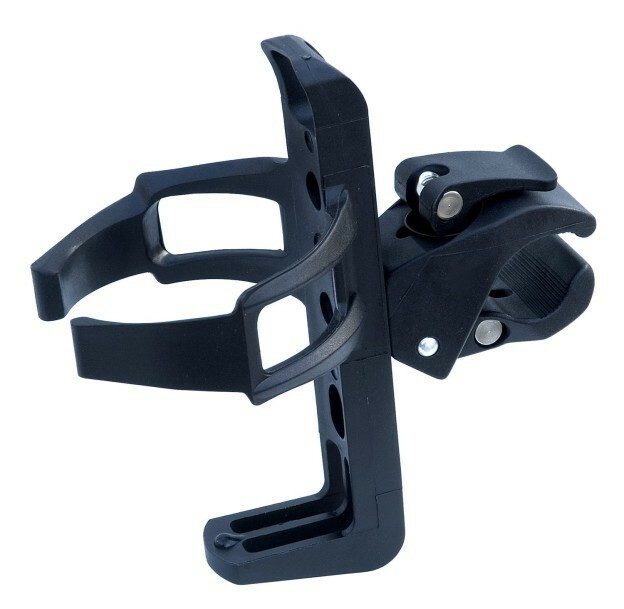 The Transformer folds into a very compact and easyto manage unit. 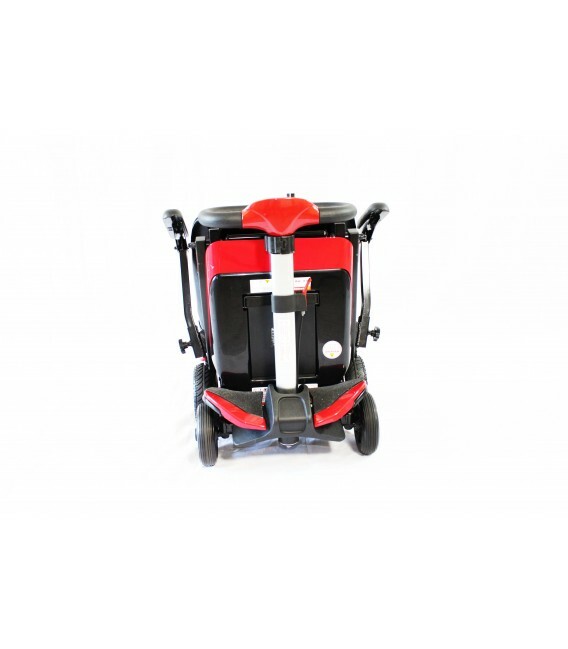 It easily fits into the back of the smallest hatchback. 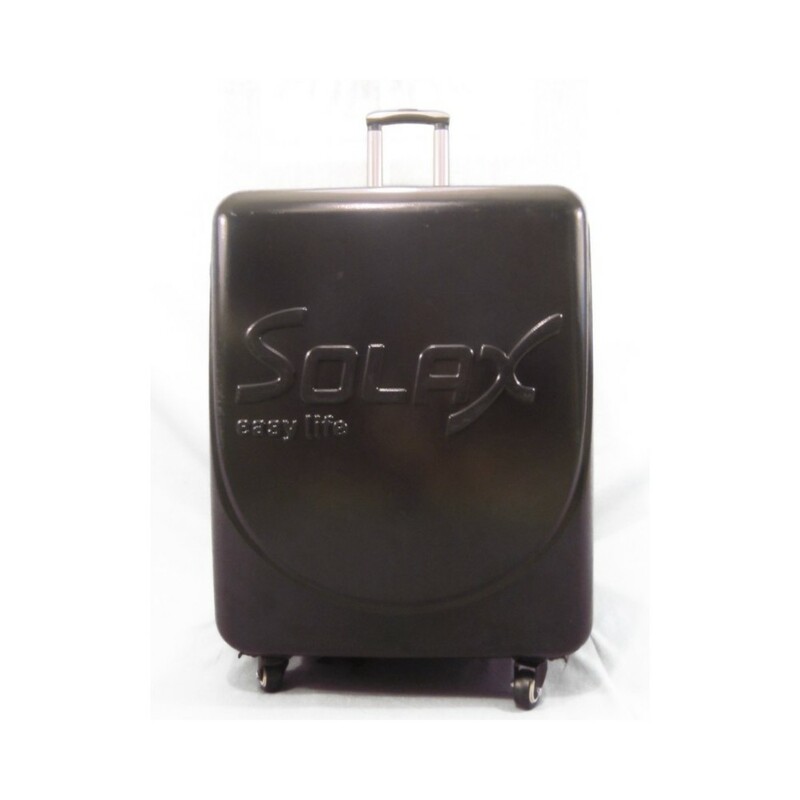 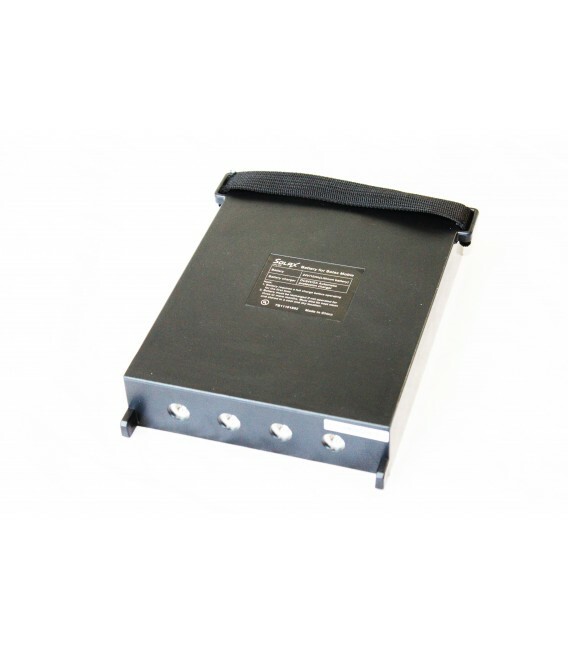 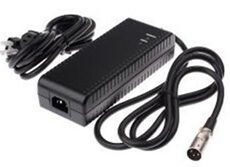 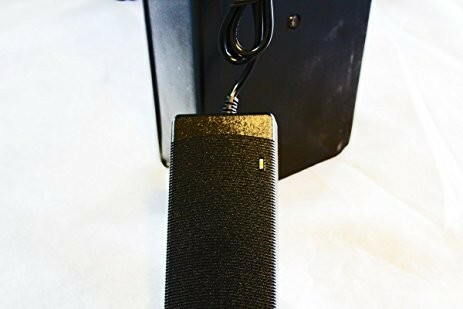 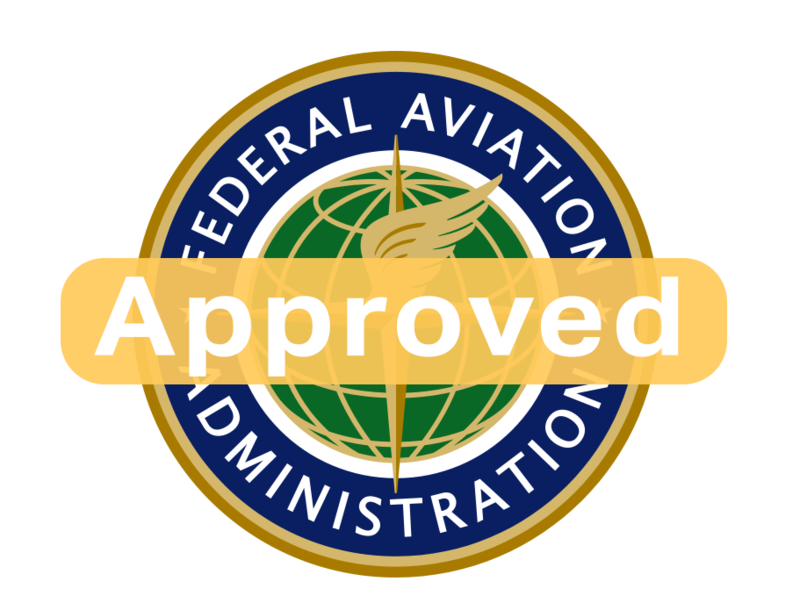 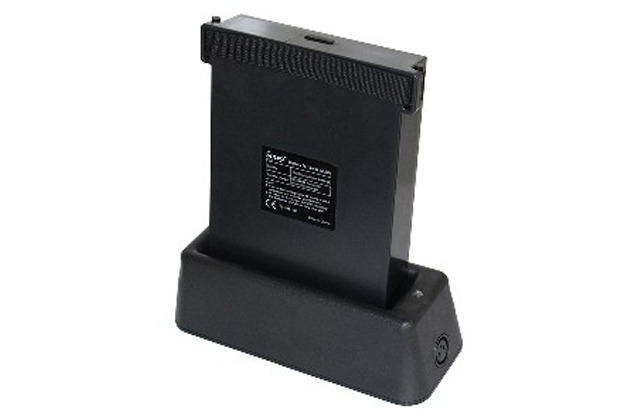 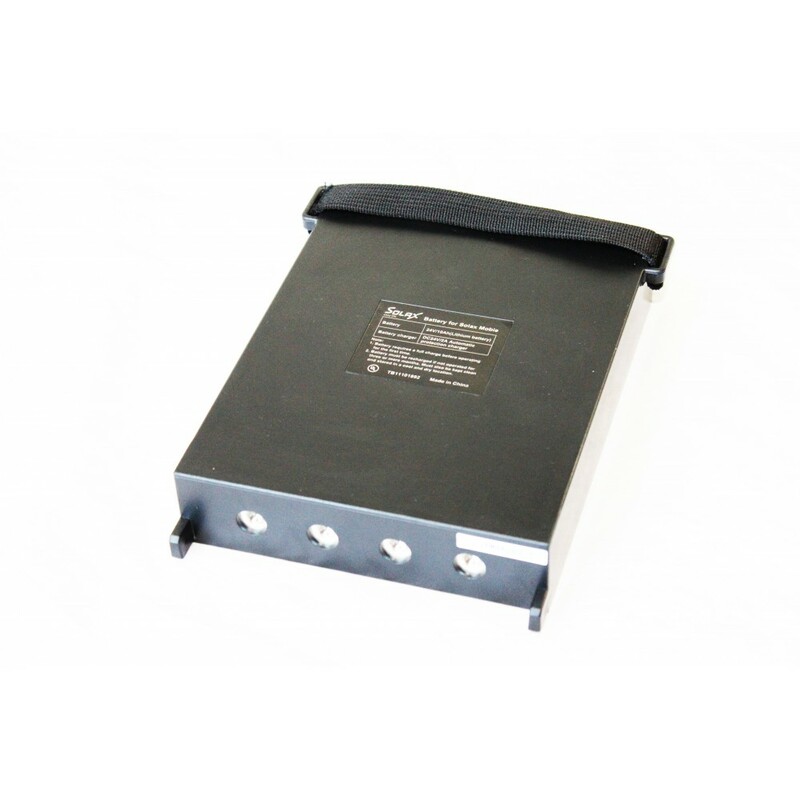 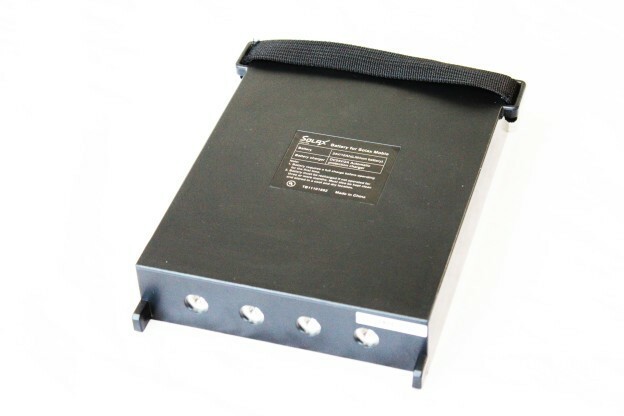 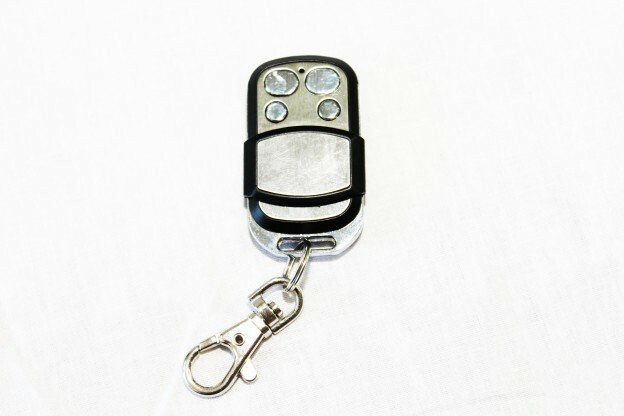 It is also airline friendly and fully compliant and within regulations for Lithium Ion dry cell battery. 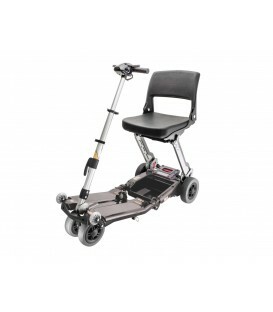 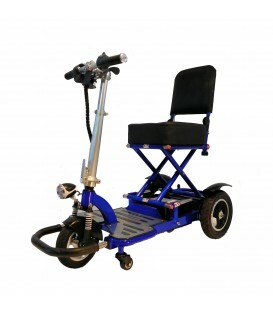 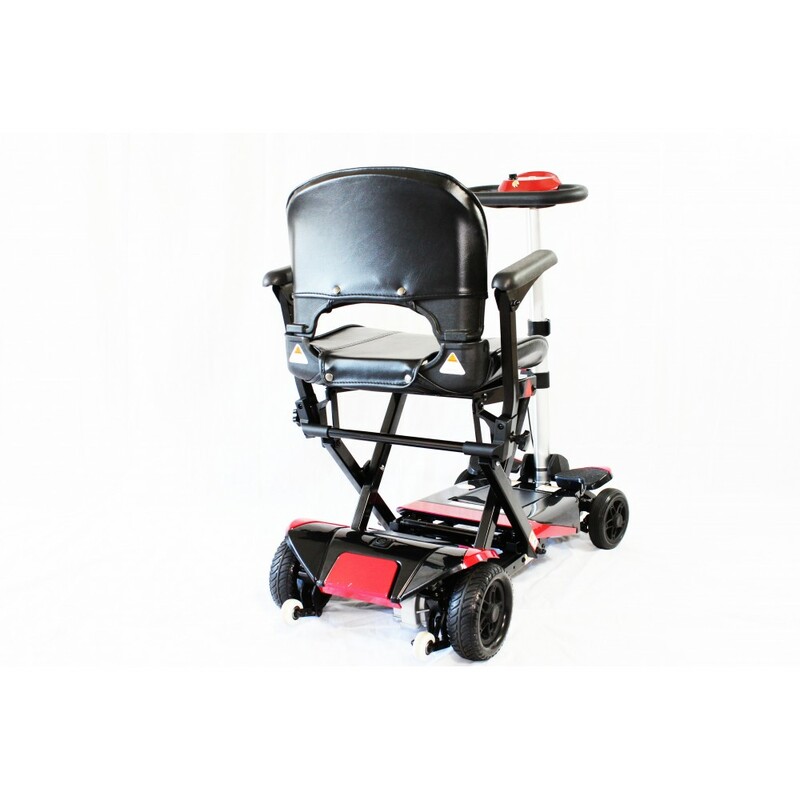 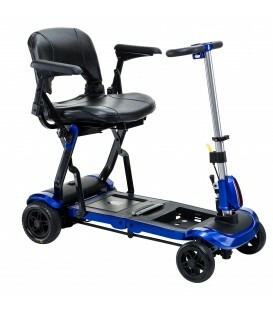 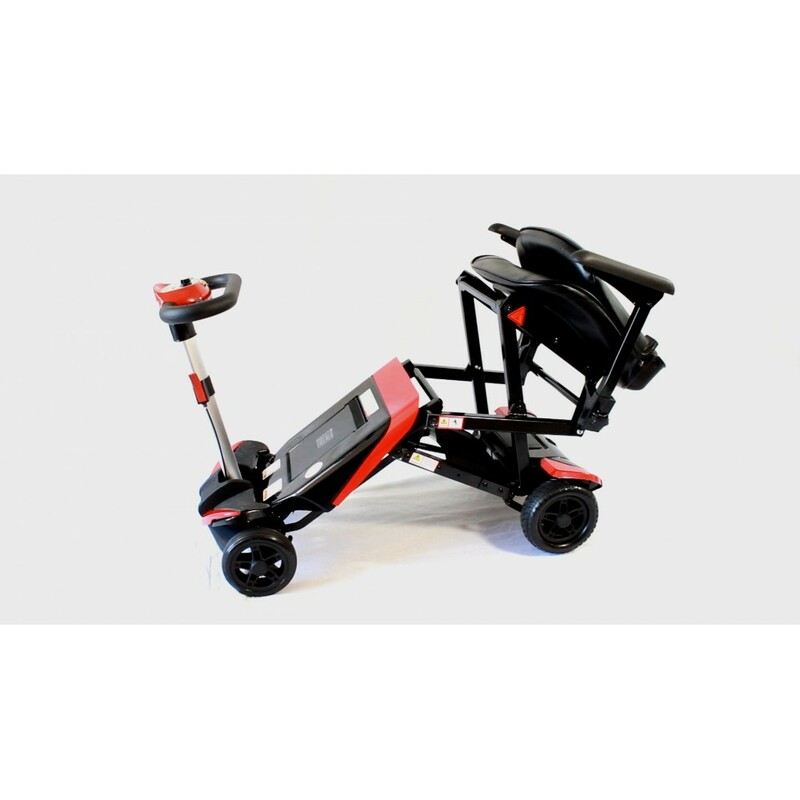 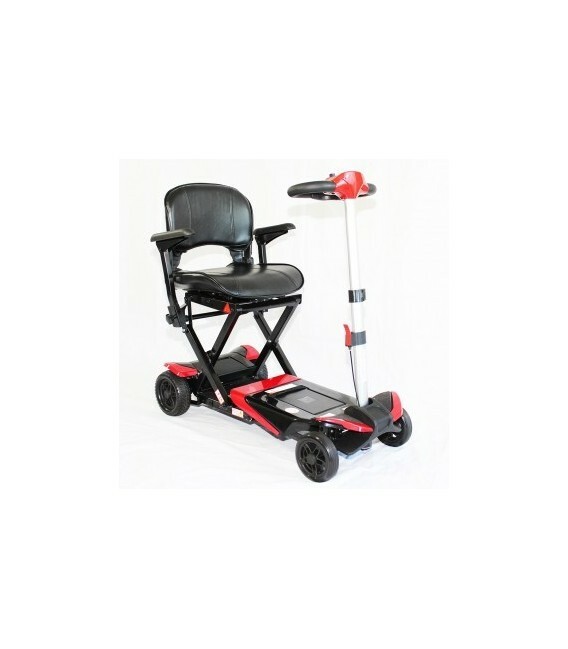 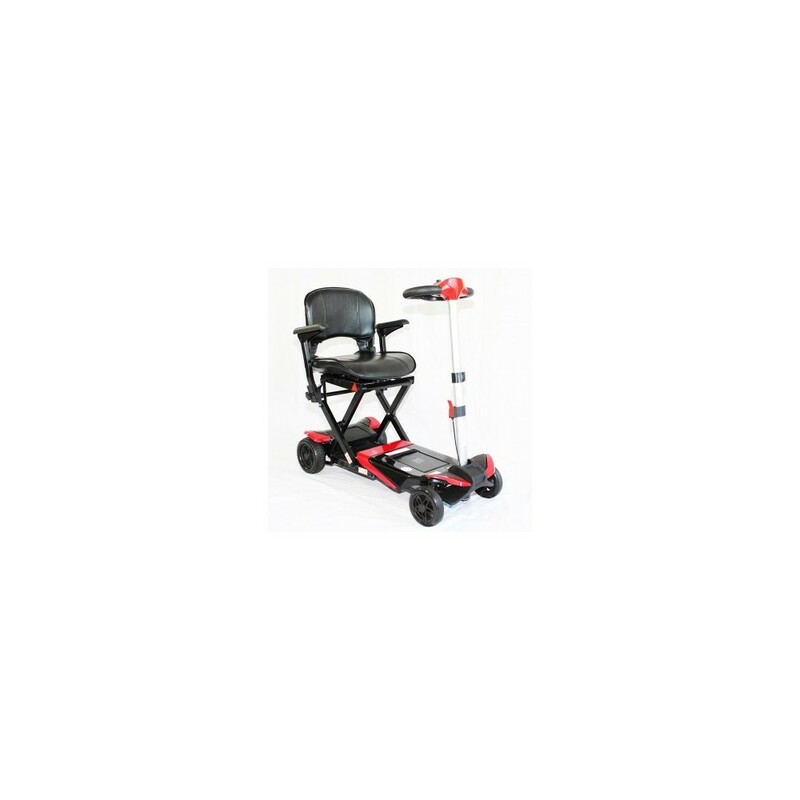 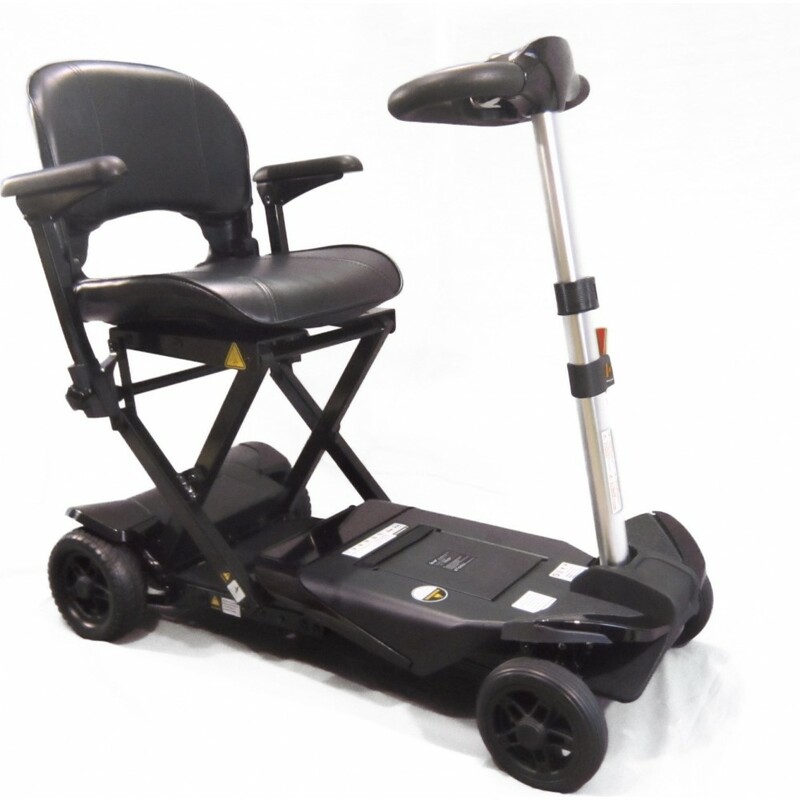 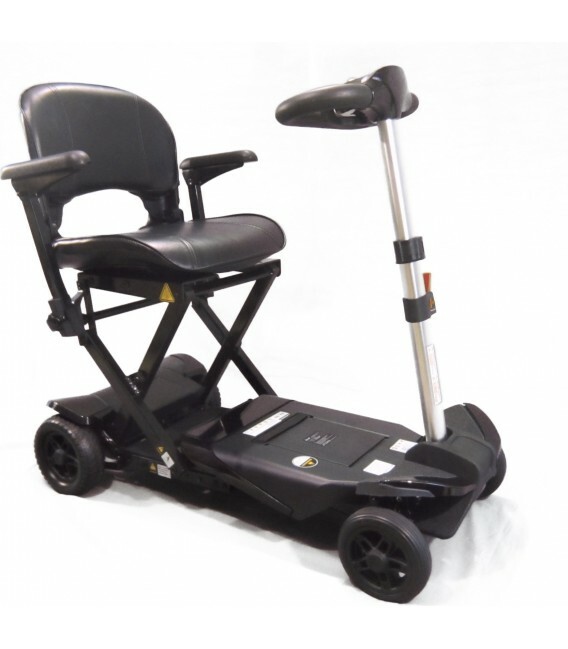 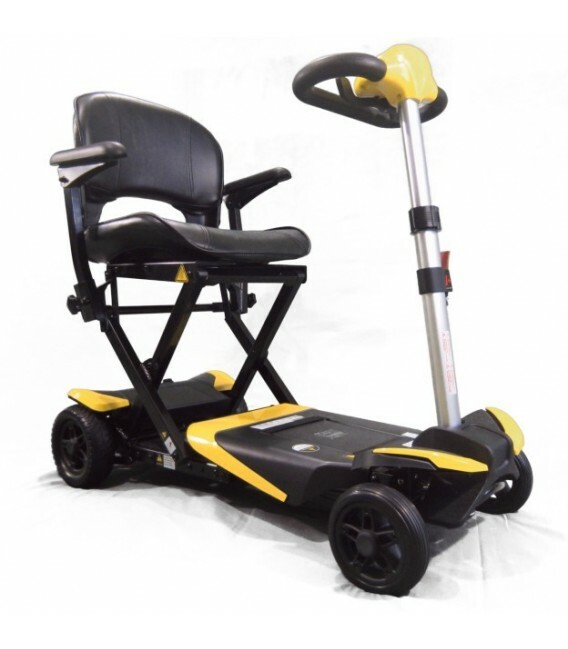 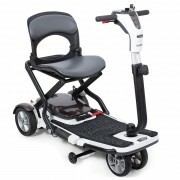 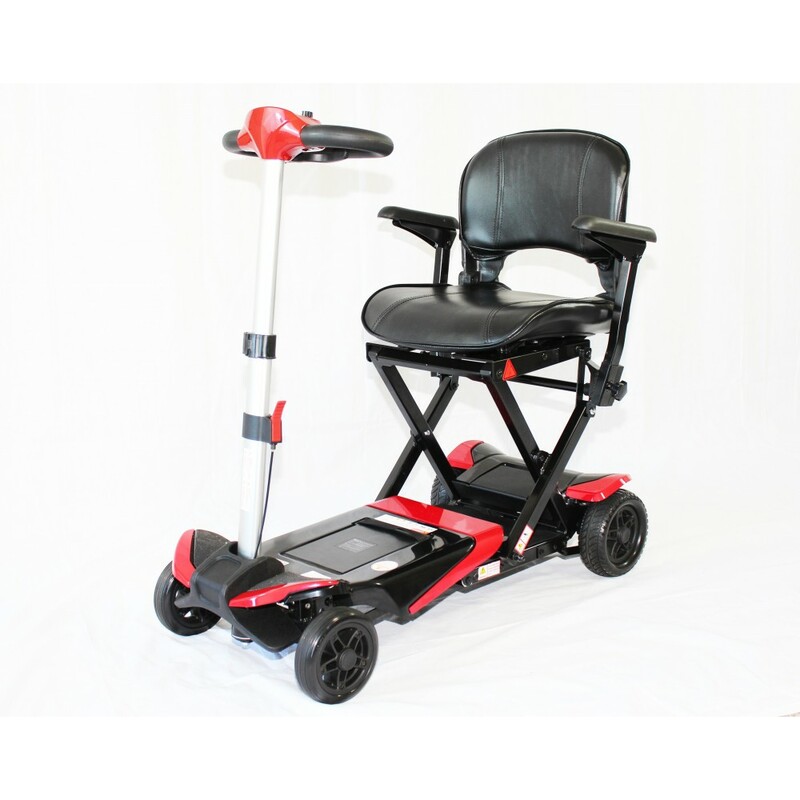 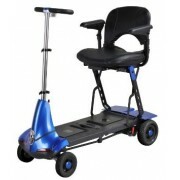 This is a unique and original scooter that is not only portable and convenient but highly comfortable and easy to use. 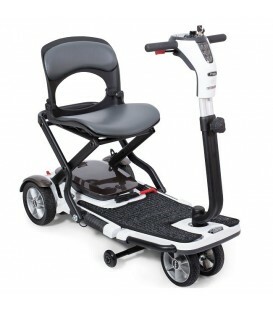 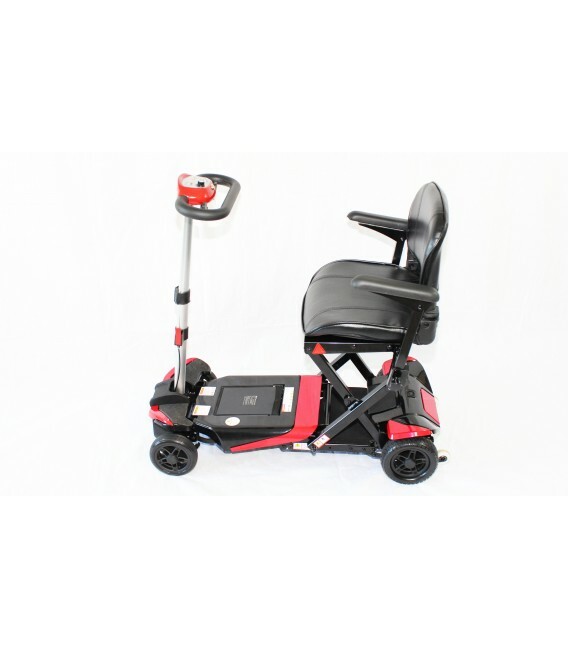 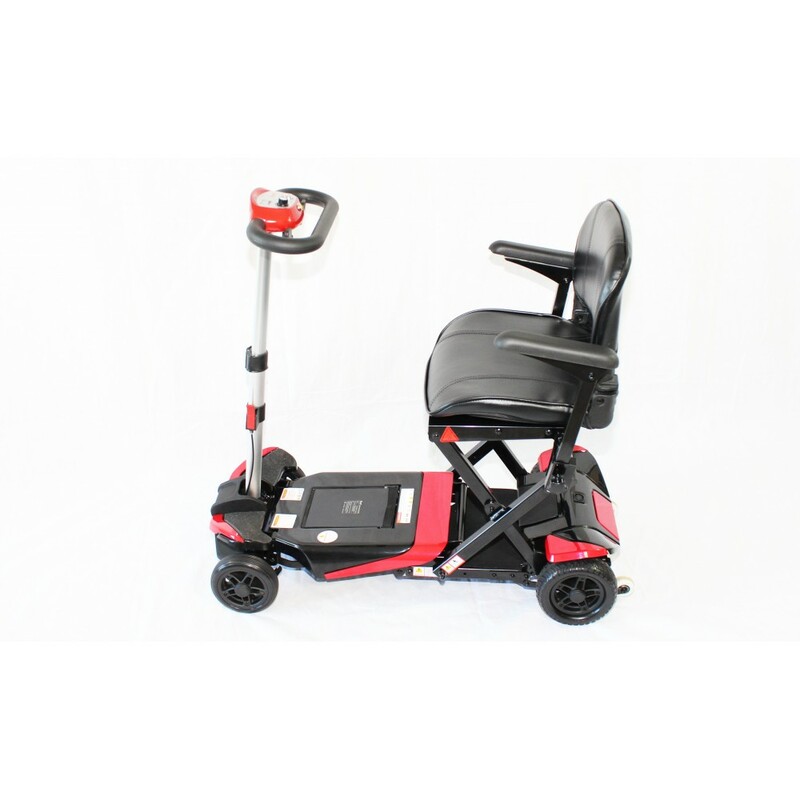 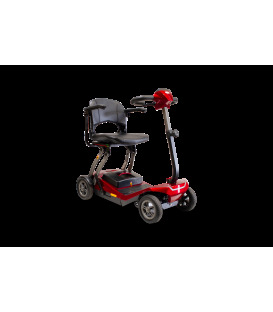 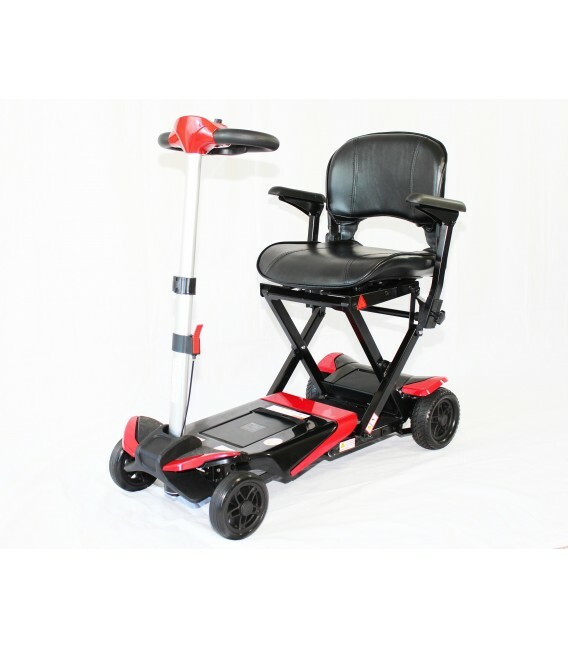 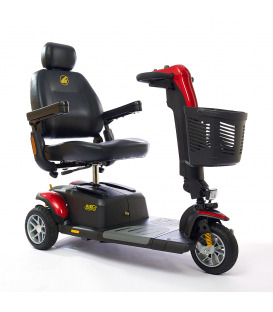 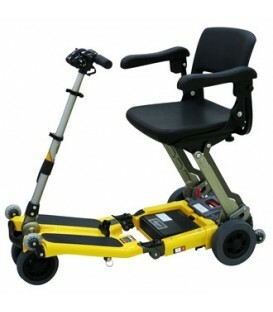 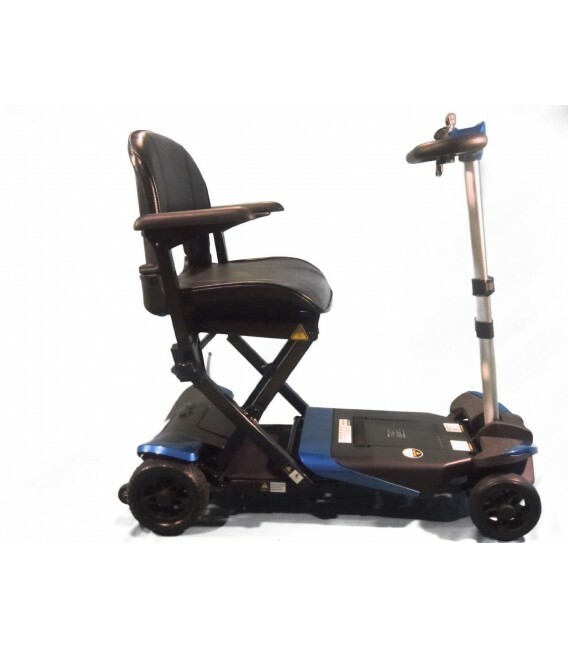 The Enhance Mobility Lift is designed to compliment the Transformer Scooter. 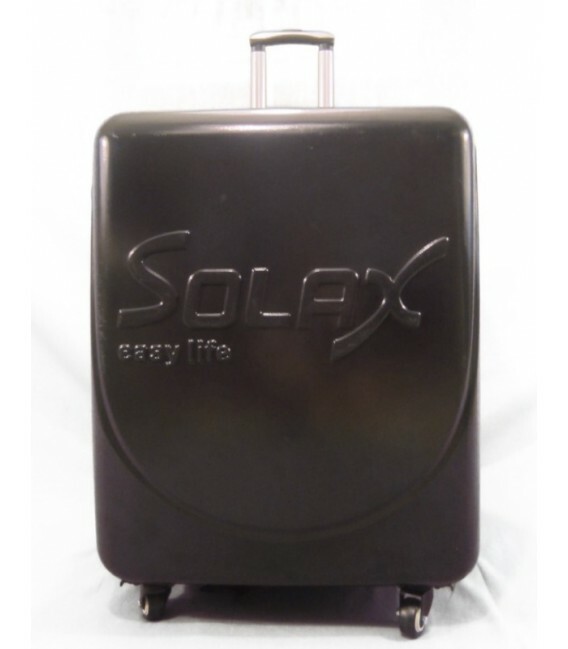 It weighs only 22 lbs and fits in the trunk of any vehicle. 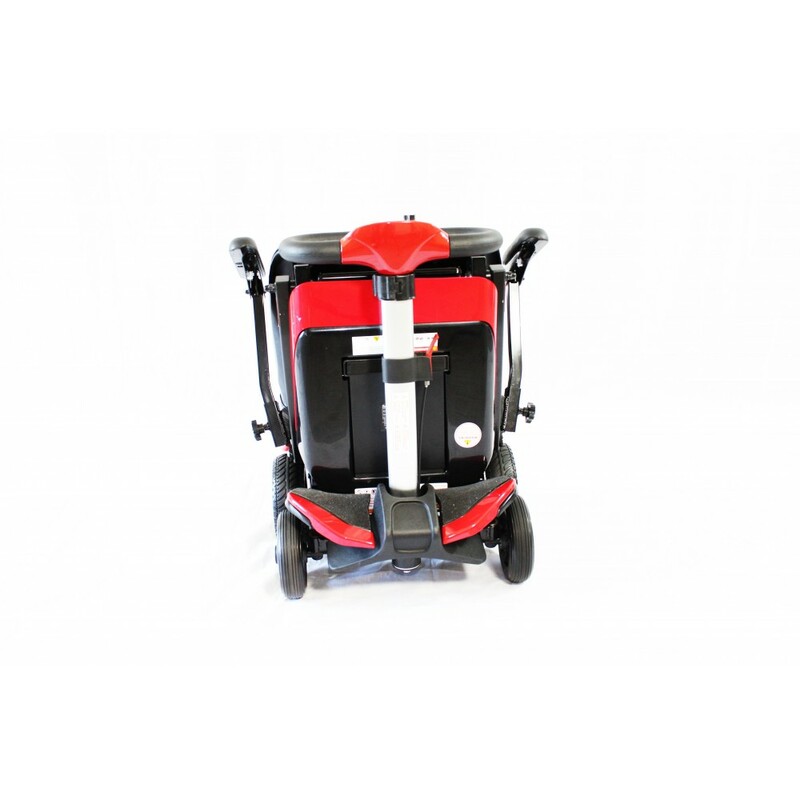 It's equipped with wheels to allow you to easily guide the scooter into any car, van or SUV. 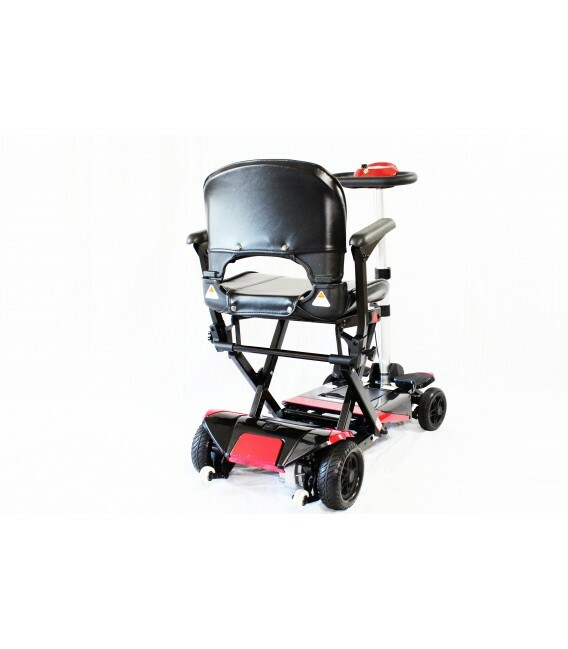 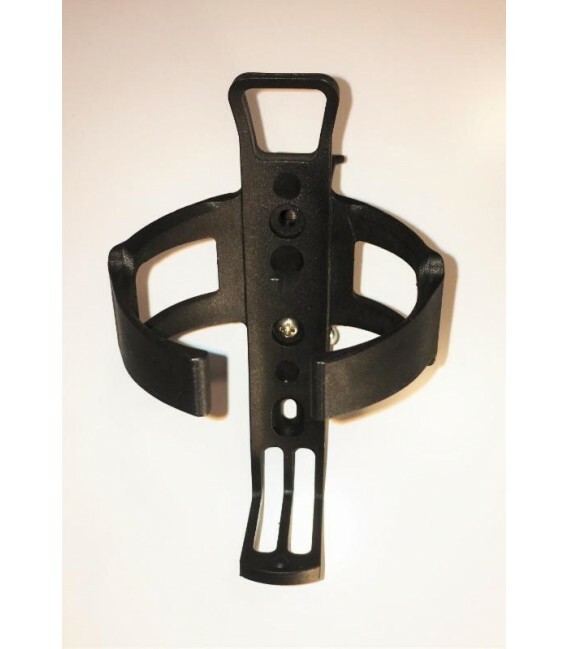 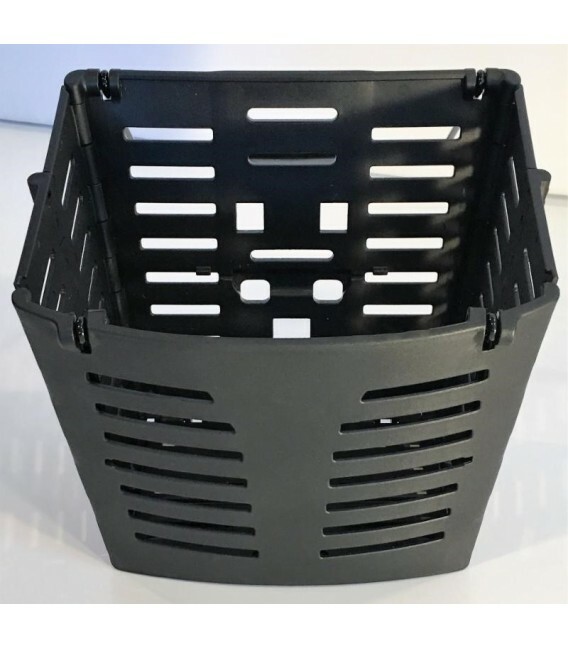 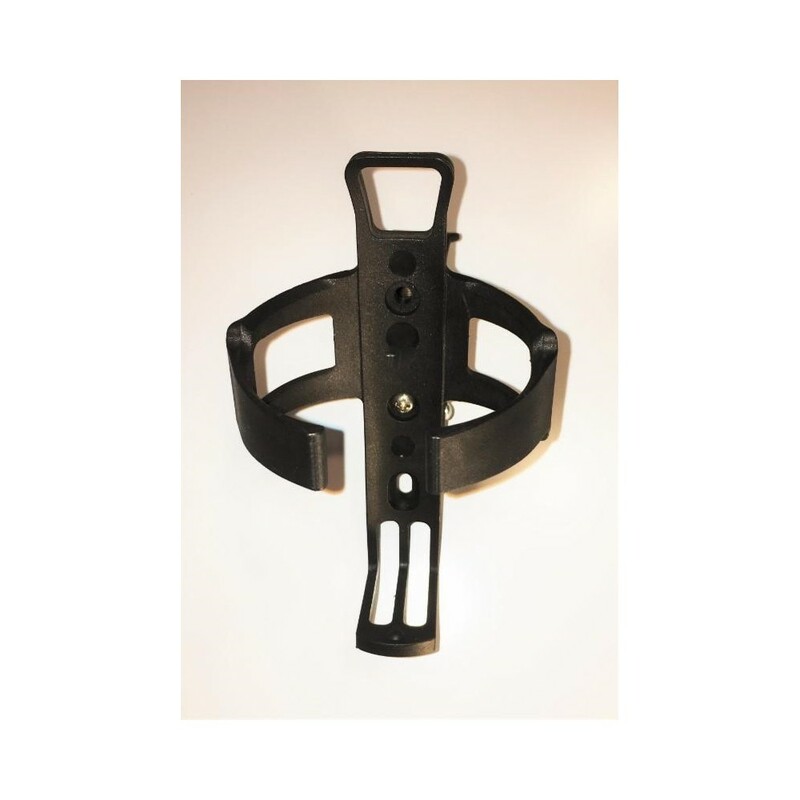 It supports up to 60lbs and literally does all the lifting for you. 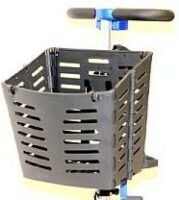 It requires no assembly and ready to go right out of the box. 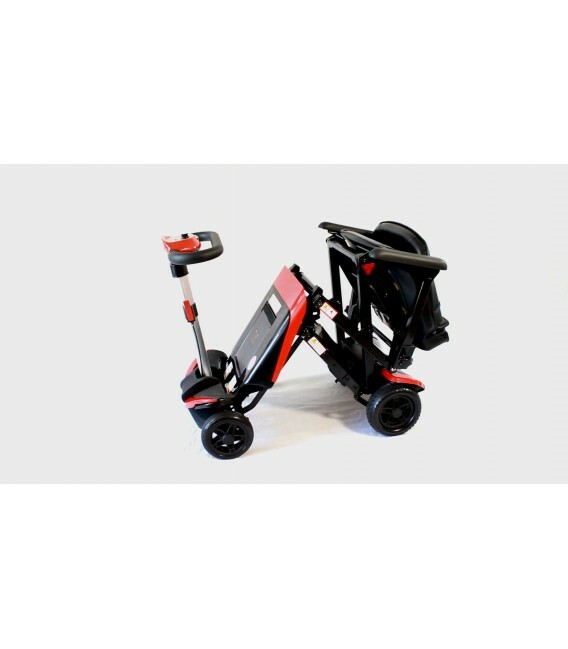 Does the travel distance given for the Transformer Automatic Folding Scooter decrease due to the folding and unfolding of the scooter and if so by how much? 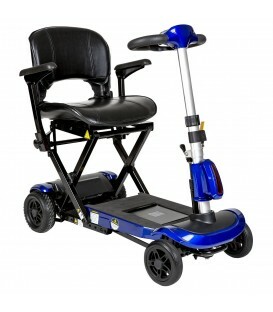 The range for a full charge is a little over 13 miles. 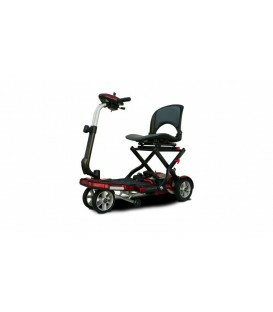 User weight, the terrain, and the age of the battery are the significant factors that could decrease the range. 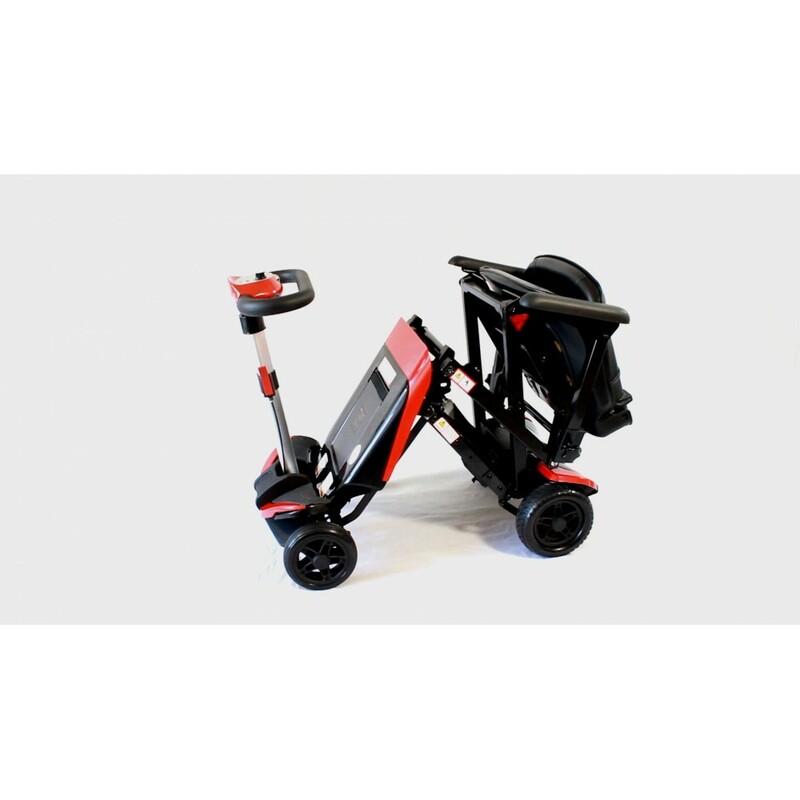 The Transformer is the only fully electric folding scooter in the USA.The Transformer has 300 lb weight capacity and comes standard with a lightweight Lithium battery (13.7 Miles on a single charge).The Transformer folds into a very compact and easy to manage unit. 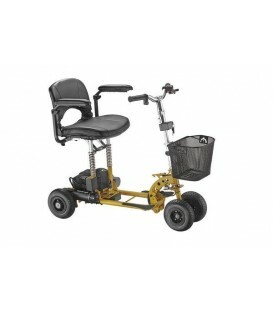 It easily fits into the back of the smallest hatchback.